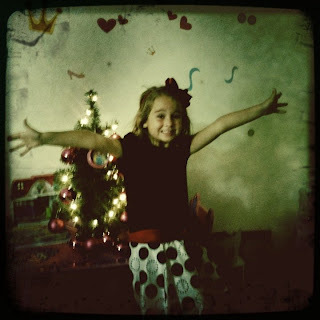 I am getting pretty excited for the Holidays…namely Christmas!!! I bought some new decorations to be put up soon; got Kylie a mini fake tree with pink ornaments that we helped her decorate last night; and I made a wreath! Kylie was so excited to get her own tree and to decorate it herself. 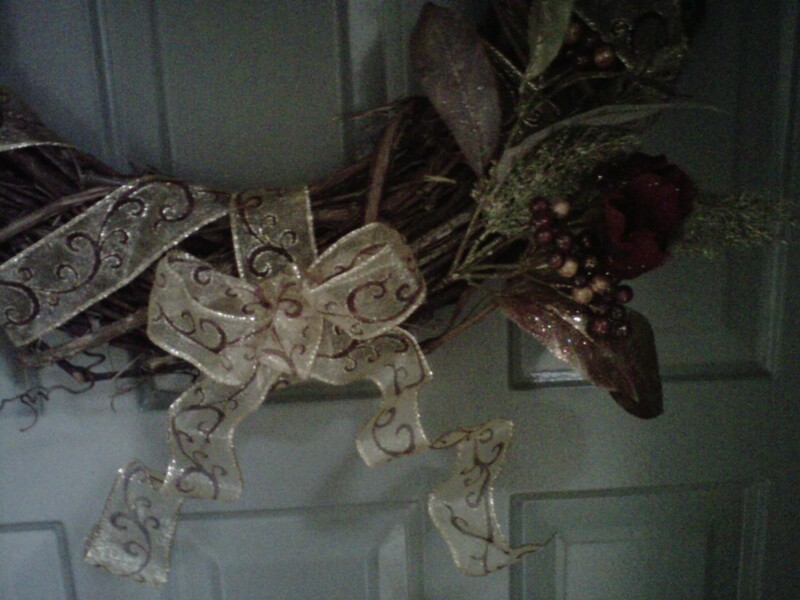 …cats already attacked it once, spraying ornaments across the room. 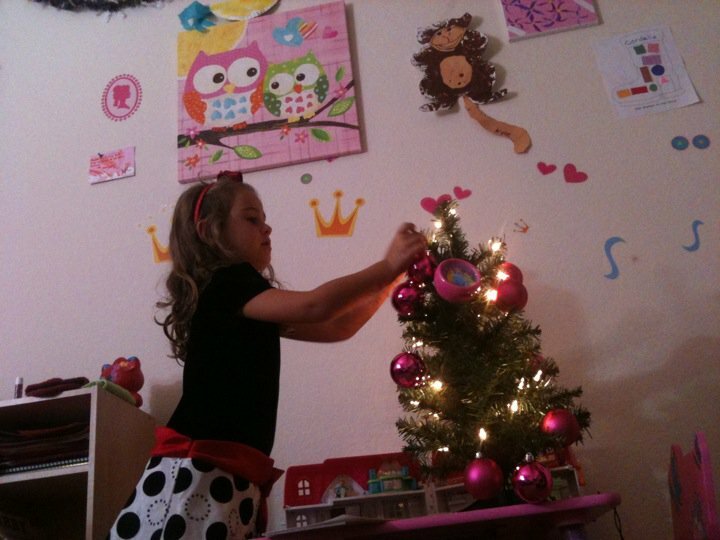 I hope this tree makes it until Christmas…or at least the weekend! Test run for how they’ll act when we get our real tree. Two cats = double trouble for sure. 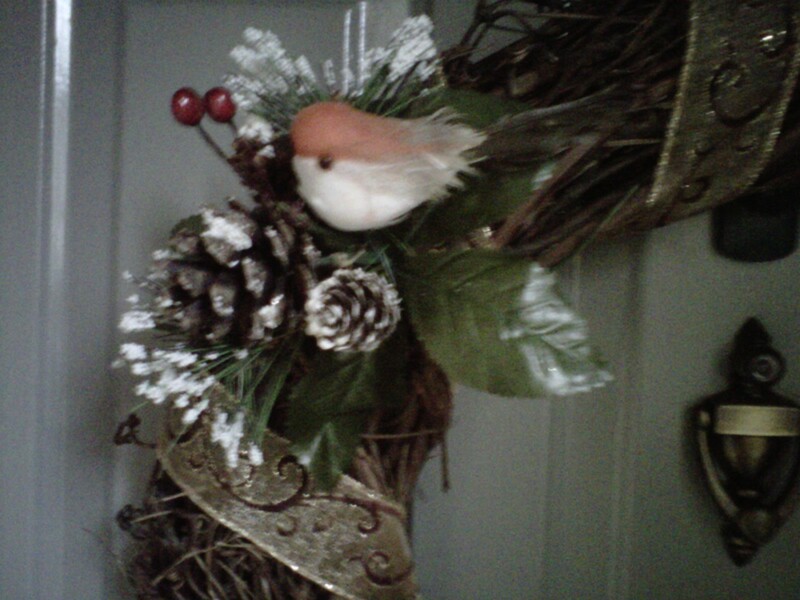 This wreath was so easy to make! Thanks to my friend Lauren and her crafty idea I copied! 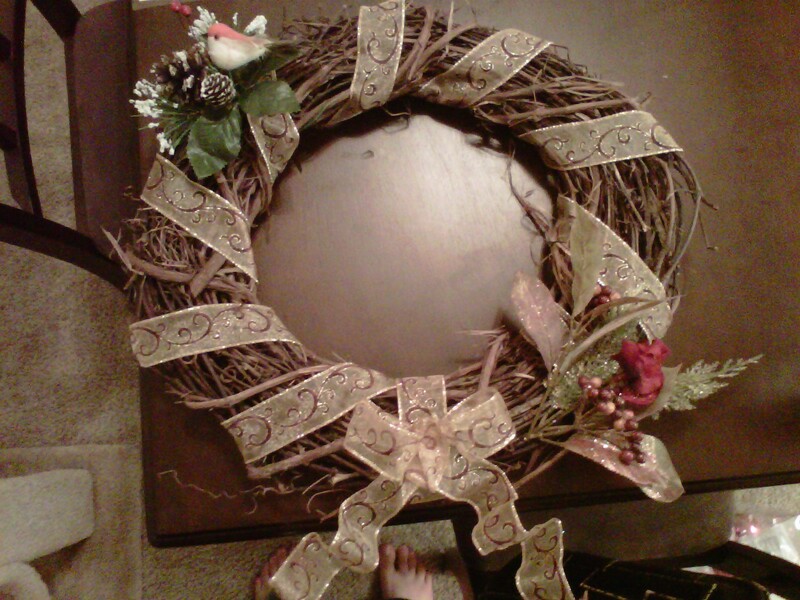 I got some pretty ribbon and accessories at Michael's, along with this wreath base made of branches. I tied the ribbon around to start, then just wrapped it around the whole wreath – hot gluing it at the end. The bow is a separate piece I also glued on. Then, added the little bird and leaves with a bit more glue. 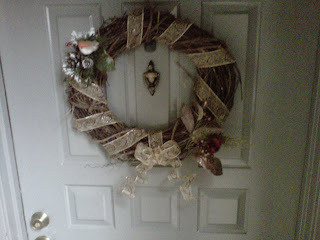 I used one of those Command hooks (aka a hook that doesn’t leave a hole in your front door) to hang on the front door and voila! Festivity! ...and you better believe I am already listening to Christmas music non-stop. YES!! !